Our ‘local correspondent’, Terry who lives in Brisbane, sent an interesting response to our post expressing a little disappointment on our visit to the Great Barrier Reef. We found his comments very interesting and he has kindly agreed to us sharing them with you all – in case you are interested too. 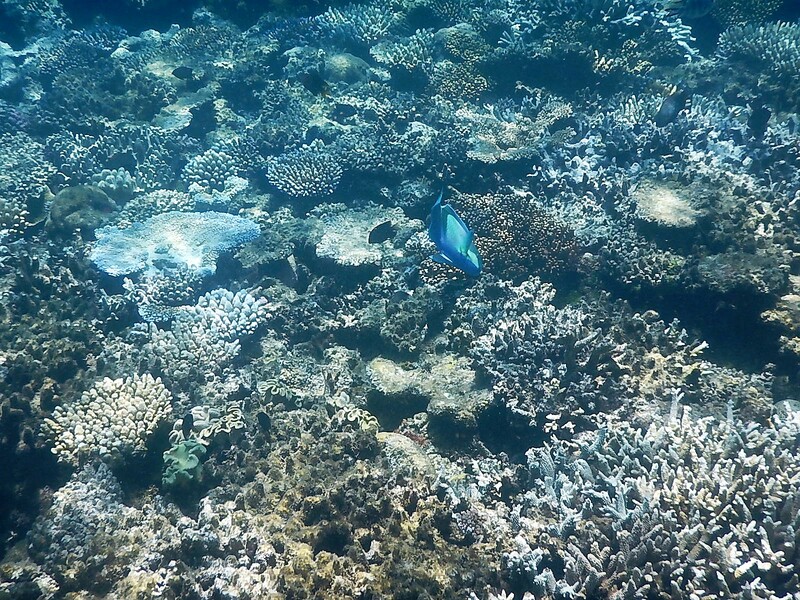 Our understanding of the poor state of the Great Barrier Reef is that the recent heavy rains and run off from agriculture plus global warming are all having bad effects on the reef – the death of coral, low fish numbers and the like. Exactly what you saw. In the Whitsunday Islands there has also been dredging associated with mining and the situation is worse. Silt covers the coral and the place including marine research areas are barren. The tourism industry is keeping the damage to the reef quiet. Some conservation groups reckon that 25% of the reef is damaged and will take decades to regenerate. The Government is in denial. Tourist numbers visiting the Barrier Reef are down. Your blog spelling out the difference between Samoa and Fiji will assist the tourist industry around the Great Barrier Reef to apply more pressure on the Government to change its environmental policies. Agincourt Reef has been the highlight of the Barrier Reef and Port Douglas. Thirty-five years ago we took the same trip on the Quick Silver and did see a thriving healthy reef. The infrastructure commitments and licenses are what keeps the Quick Silver committed to visiting their established pontoons. There is no regenerated area in that part of the reef that they could have taken you to visit. The Australian Government makes all the right sounds when it comes to global warming targets but does nothing about putting a price on carbon. It seeks to point out the unreliability and cost of renewable energy and assures us all that we need coal as an energy source. An all out rescue of the Barrier Reef may only take place if the Reef’s World Heritage status is dropped to endangered.